I’ve mentioned before, during this pregnancy I am by no means sticking to a healthy eating plan, but I generally do tend to eat relatively healthy dinners (it’s just I follow them with ice cream, sweets, chocolate and crisps). For the past week I’ve been craving pizza and I finally got some today when I went food shopping. 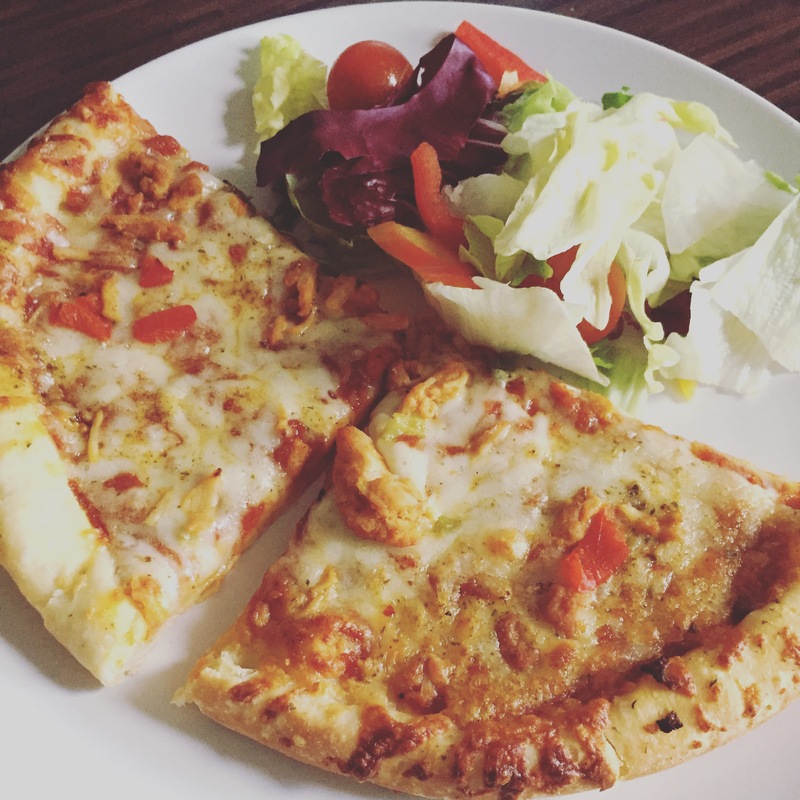 After swimming this evening, Ed, Cameron and I sat down to some yummy pizzas with sundried tomato and garlic flatbread (with a small amount of side salad to make me feel a little healthy). Every so often it’s nice to give in to your cravings, especially when they’re for something as yummy as pizza! What are your treat day cravings? Do you love pizza as much as me?